FROM THIS SUMMER, your bin charges will be calculated by weight. The ‘pay by weight’ system, which will come into effect from 1 July, will see flat-fee annual charges banned. The new system has raised fears that bills could increase. Head of waste management at the Irish Waste Management Association Conor Walsh told TheJournal.ie, “It’s not a new charge, it’s an existing charge. “It has been policy in Ireland for a long time that we have to pay by use. “It has been proven to be very effective. It’s in place already in Dun Laoghaire-Rathdown and as soon as it was introduced the amount of waste people were putting into their bins reduced by 20-25% instantly. The most effective way to change people’s behaviours is through the pocket – to financially incentivise people. People whose waste weighs less, will pay less and people’s whose waste weighs more, will pay more. Walsh said that 1.2 million houses in the country get their bins collected, adding “We expect 1 million people will pay less – just from people’s behaviour. He added that the new system will help Ireland comply with EU regulations. The waste industry won’t be getting any extra money … it will mean less revenue for the waste companies but it will also mean less costs for them too. Bin companies have already brought in the weighing technology needed on their trucks for the new system. “There will be some consolidation in the market on the back of this,” Walsh added. At least 70 waste companies are expected to consolidate down to 40. It’s believed that the new system may divert as much as 440,000 tonnes of rubbish a year from landfills. The final regulation is due to be signed in the next few days. Email “Fears bin charges will rise as new 'pay by weight' system rolls out this year ”. 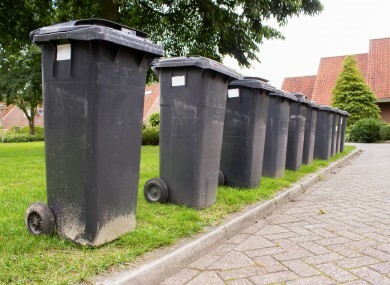 Feedback on “Fears bin charges will rise as new 'pay by weight' system rolls out this year ”.